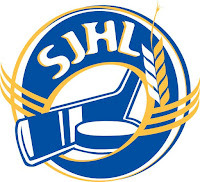 A shootout loss to Melfort on Friday, but their regular season unbeaten streak stays intact at 24-0-1-2. Stars have won three straight and have a new ‘star’ in Cole Johnson, who lit up the league during the month of January. Defeated the Hawks on Friday, have won three straight, and eight of their last ten. Jaxon Joseph has been a great pick up with 21-goals in 29-games since a trade earlier this year. Strong January by Rookie Of The Month Jared Hamm gives the Hounds four players producing above a point per game. Bo Didur has gone 6-3-and-1 with a 2.06-GAA and .927-SPCT since being acquired in trade. Now they just have to find that early season offense to match. Five points behind the Bruins with two games in hand as they eye first place in the Viterra Division. Playing well enough to hold off Flin Flon for home ice advantage in the Survivor Series. Three points behind the Klippers and the Bombers’ road record of 5-14-0-and-2 works against them. Goalie Colby Entz has given the Mils a chance to win every game he’s started, but it appears as though they are destined for 10th and final playoff position. Young Austen Flaman has been a bright spot as of late. Connor Smith has 5 goals in his last 9 games. Bruins just need to find some consistency. Look great some days.... only average others.